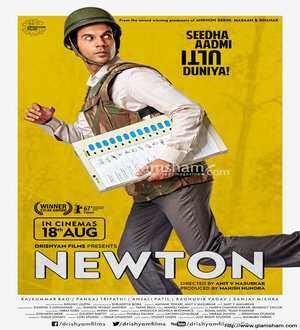 Below are Box Office Collection Report of bollywood film 'Newton' With his review, budget and total box office and worldwide collection status. Newton movie lead star cast is Rajkummar Rao, Anjali Patil. Newton is an indian Comedy, Drama Film of 2017, directed by Amit V Masurkar & produced by Manish Mundra. Newton film Released in over 430 screens in India. The film which opened just Rs 96 lakhs went on to collect Rs 2.52 crore on Saturday and grew to Rs 3.42 on Sunday crore. This film has now collected Rs 6.90 crore in three days. 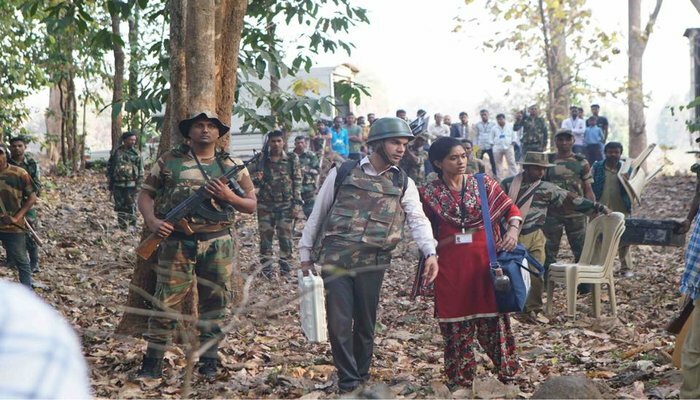 Movie Story:- Newton Kumar, a rookie government clerk, is sent on election duty in the conflict-ridden jungles of Chhattisgarh, which is under the control of the naxals. Despite the odds stacked against him, Newton Kumar tries his best to conduct a fair voting process in the region.